But then again if you’ve followed her film career, Carey, a high maintenance glamour queen in real life, seems to go for gritty, down-to-earth characters on film. And when you work for Daniels that’s pretty much what you’re going to play. “The Butler” tells the story Eugene Allen, a longtime White House service worker starring Forest Whitaker. In addition to Whitaker playing the lead role, the highly anticipated production’s cast also includes high profile names like Oprah Winfrey, Jane Fonda, John Cusack, Robin Williams, Cuba Gooding Jr., Alan Rickman and Terrence Howard, among others. Daniels has cast music stars in his other films. If you recall, “Precious” featured both Lenny Kravitz and Carey in supporting roles, which were the complete opposite of their off-screen personas. Carey is teaming up with Daniels again for “The Butler”, in a part that is against type to say the least. 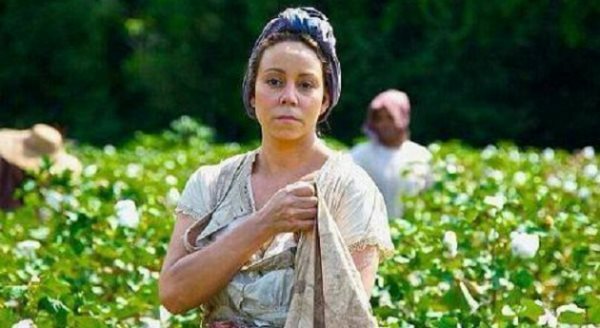 As you can see from the photo above, which recently surfaced, Mariah Carey plays what appears to be the role of a slave named Hattie Pearl in the film. According to IMDB, “The Butler” is scheduled to be released on August 16, 2013. What do you think? Is Mariah Carey believable as a slave?